We hope you will plan on having dinner with us as well as enjoying the music. Dinner will be served in the show room and you may order from the entire, excellent Positano menu. There is no need to make a separate dinner reservation with the restaurant. From Bethesda Metro Station: Go up Old Georgetown Rd. three blocks and make a right on Fairmont Ave.
From 495: Exit at MD-355 Bethesda, MD. Take MD-355 (Wisconsin Ave) south toward downtown Bethesda. Make a right on Woodmont Ave. Make a right on Old Georgetown Rd. (garage entrance will be on your right) Make first right on Fairmont Ave. Positano Restaurant is on the right. From Washington, DC: Take Wisconsin Ave to Bethesda, MD. Make a left on Old Georgetown Rd. (garage entrance will be on your right, between Woodmont and Fairmont. Make your third right on Fairmont Ave. If you get lost call the restaurant at 301-654-1717. They will bring you in. In December of 1983, the World Folk Music Association, in order to provide opportunities for up-and-coming folk artists to perform for folk-friendly audiences, began a series of monthly Music Americana Showcases. As a result, the Washington, DC area has become one of the best areas in the country for folk performers and listeners alike. The next 15 years saw the formation of dozens of new folk music venues, including restaurants, coffee houses, churches, and house concerts. As a result, in 1998, the World Folk Music Association decided to bring this 15 year long concert series to a close and devote its resources to promoting folk music in other ways. In January of 2013, WFMA once again began hosting monthly showcases in the DC area, at a fine Latin American restaurant in Silver Spring, El Golfo. After 3 very sucessful years at this excellent venue, we decided to move our showcase series (beginning with our February, 2016 showcase) to a new location. 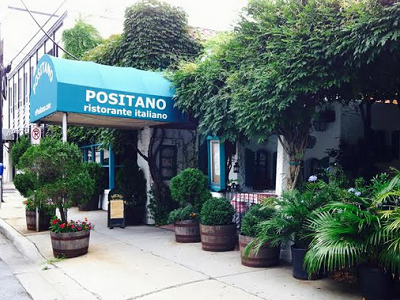 Plan to join us at Positano on the second Sunday of each month for for dinner and some great music. Our goal is to bring you performers who have been favorites at our events over the years and introduce new performers to you as well.